‘Twas a bad, bad week for football in the state of Louisiana. And ’twas a bad, bad week for the so-called lucky tie effect. The state of Louisiana, consisting mostly of Saints and Bayou Bengal fans, mourneth. 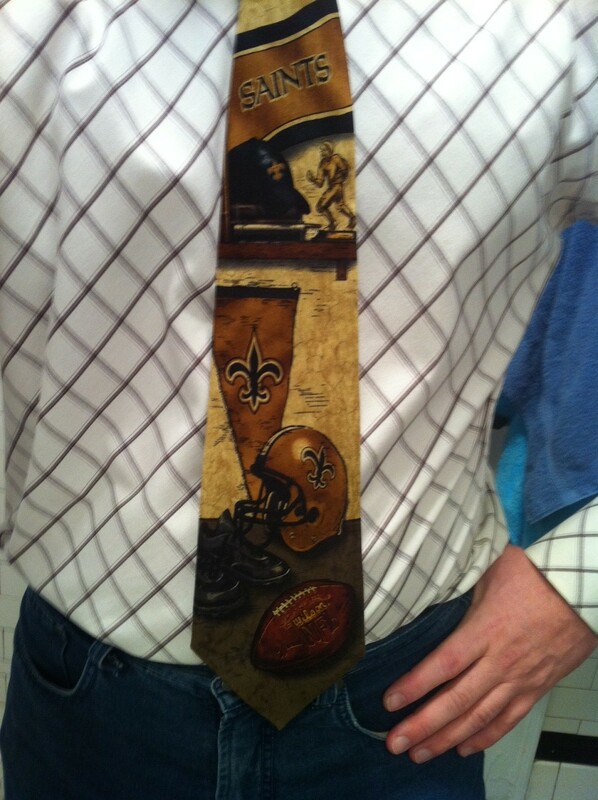 Last year, I waited too long to wear my New Orleans Saints tie, as they lost in their first playoff game. Once again, I forgot to wear it leading up to their wild card game last week against the Detroit Lions. They came through and gave me a chance to wear it again, but to little avail. I sported my NFL Shop Saints tie, given to me a couple of birthdays ago by my parents. It features a menagerie of Saints memorabilia, in the genre of oh-wow-grandpa-paints?-I-guess-we-should-buy-it. The Fleurs de Lis are cool. This will likely not make it to TieXchange, unless I get an inordinate number of Louisiana members. I have spoken before about my preference for the half-windsor knot; it gives a symmetry, and some size, without getting too sizey. But, I think we have found the quadruple-windsor, here. 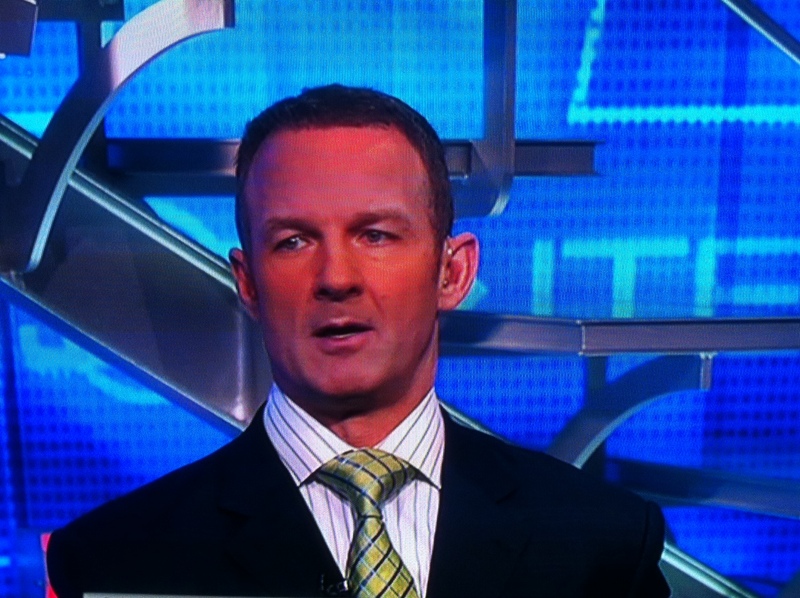 I’ll stick with football for a bit longer, with ESPN’s Merrill Hoge and his HU-MAWN-GOUS knot. He could be hiding his lunch in there.